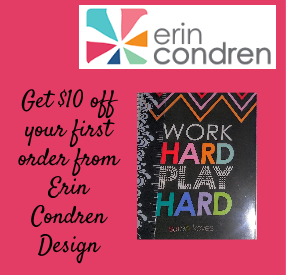 With the Olympics, one of my favorite events, quickly coming up upon us and many family picnics and scout parties in summer, I wanted to share with you a great idea on making memories that last. I have received products in exchange for this post, but the opinions here are 100% mine! I would suggest drawing straws or having teams be by family unit. I despise selecting captains and having them choose teams as someone always gets picked last. I like using a box of colored straws to have people draw for teams. 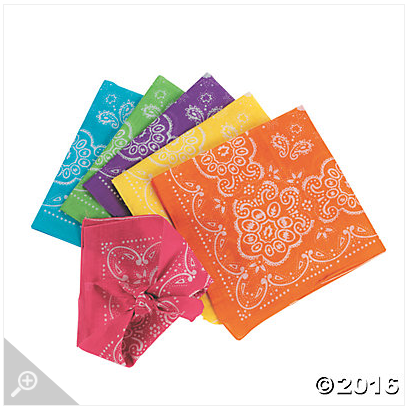 Once teams are drawn, have teams select names and show their allegiance with these neon bandannas. You will also need to spray paint a line in the grass (or use another kind of marker) that will be used for several of these games. The Tick Tac Toe and Yard Bend Game will need paint or chalk prep work before you begin- these are great tasks for the older kids to help with. I also recommend having a large poster board to keep a tally of points for each event. I have six events here, but there are many more outdoor activities that you could add to the events list. You could also set the games up at night for an added challenge and use torches and glow sticks to light the events. Grab this Bocce Ball Set and assign the adults on each team one of the three colored balls. You an do a winner takes all or set a leveled number of points (1st=25, 2nd=15, 3rd=5). If the kids want to participate, have adults and kids pair up and play in teams of two. Have more than three teams? No problem, just grab two sets or play two rounds. 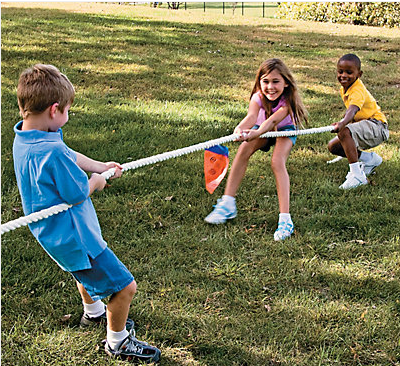 Spray a line across the grass, line each team up, grab this Tug of War set, and pull. 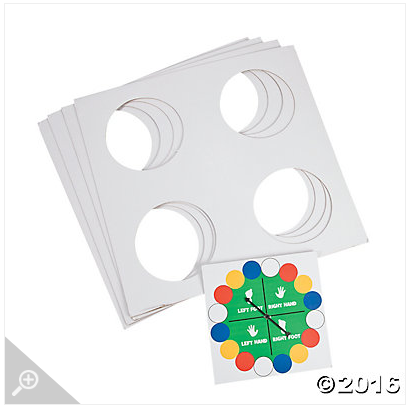 This is a great teamwork game that kids and adults can play together. If you have more than two teams, play in rounds: winner takes on third team or play two heats with the winners facing off. 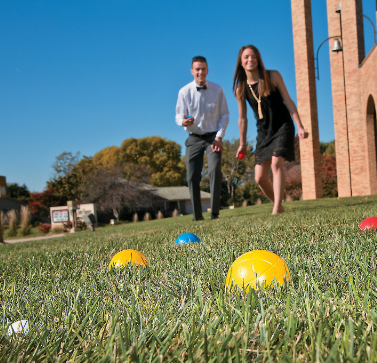 Assign points the same as Bocce ball: winner takes all or placed points. 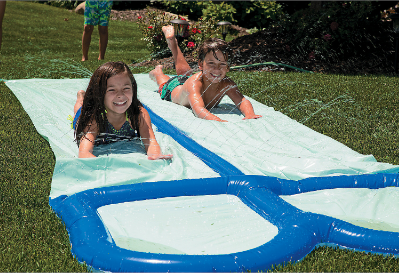 This might be my favorite game of them all: slip and slide races. This double water slide is perfect for kids (and adults) to race each other. Have everyone suit up (or not if you prefer) and have pairs face off. Use the same spay painted line in the grass from tug of war as your starting line. Have kids and adults from different team pair up to face off. You will need to assign a judge to declare a winner in each race. Winner gets 5 points for his or her team. 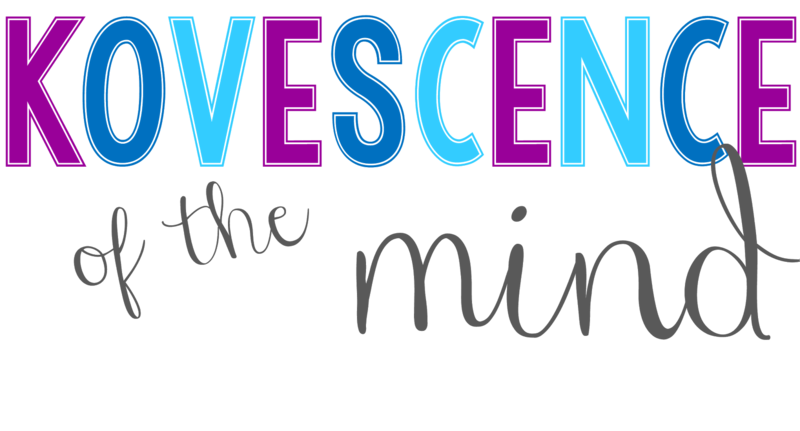 A brain game for even the smallest of team members. 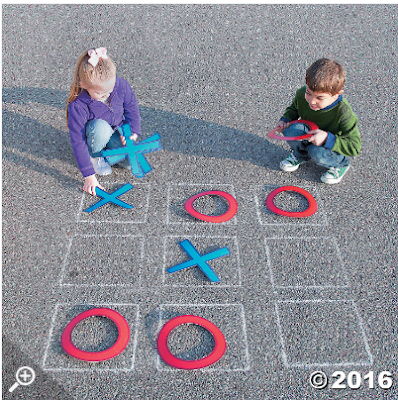 With the Tick Tac Toe Set, the only prep is to use the stencils to chalk (on cement) or spray paint (on grass) the 3 by 3 board. Teams can face off in heats with points for the winners at the end or each team can select a player to represent. What could be more fun that a family game to test your flexibility (adults proceed with caution as you might fall and not be able to get up). The best part of the bend game set is that you can create a board as large as you need to accommodate the size of the teams. I would suggest a kids and an adults heat of this game. Step up to the end of the board and begin. One by one the players will fall until only one winner is left! 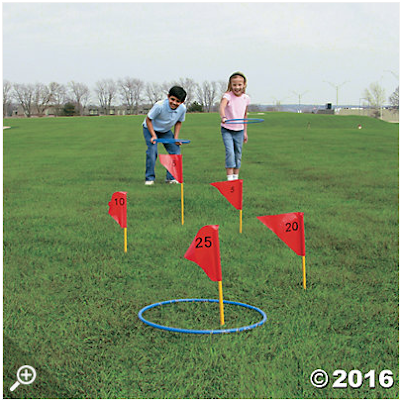 The Jumbo Ring Toss Game comes with flags that have point values on them. Have everyone line up and toss a ring. Each person gets a turn and their team gets the points they score. Play one round, two rounds, or more. 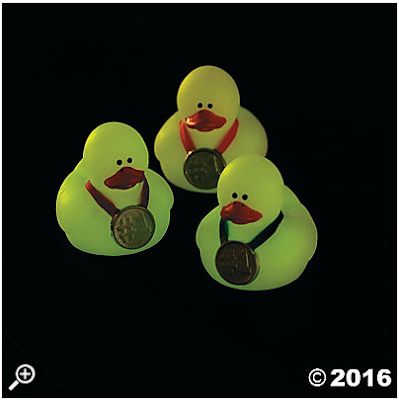 Grab a dozen medals or trophies to award the teams. Winning team gets bragging rights as well. 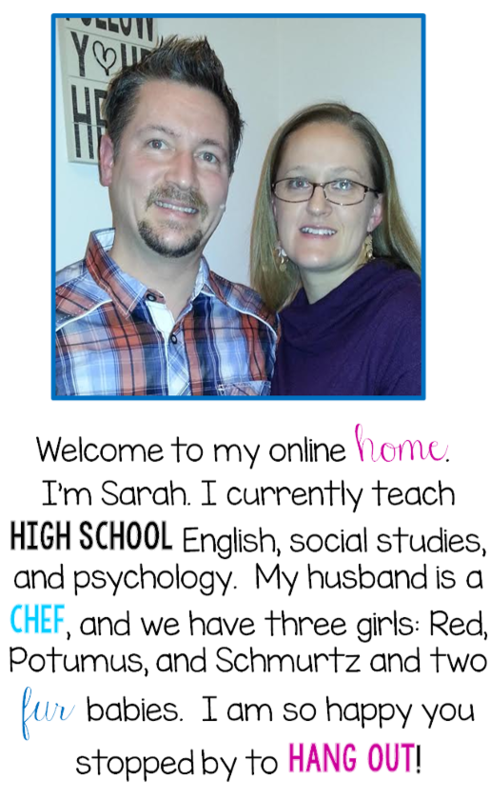 Check out my summer board on Pinterest for many more activities. What fun outdoor activities do you and your family do during summer?